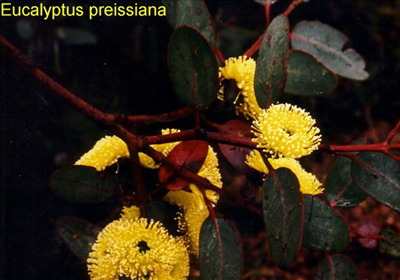 Ornamental, small, profuse yellow flowering mallee eucalypt 6-12'. Grows wellin most well-drained soils even with heavy sub-soils. Winter-spring-summer flowering and is suitable as a cut flower. Moderately drought tolerant and hardy to most frosts. Plants are known to be smog resistant so are suitable for roadside plantings. Also can be grown in a container.